Nature’s Garden is definitely the best name to describe is amazing piece. 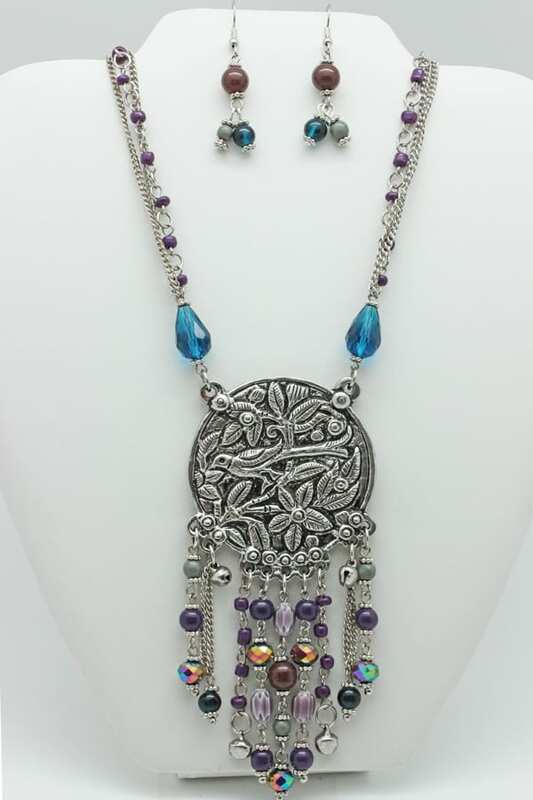 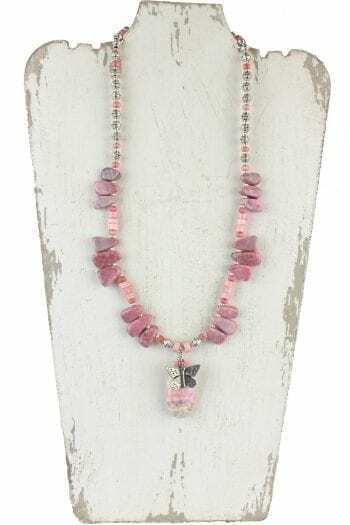 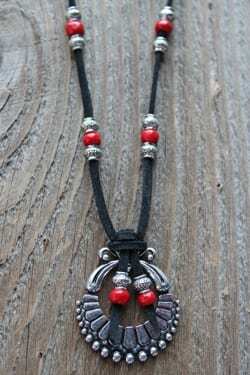 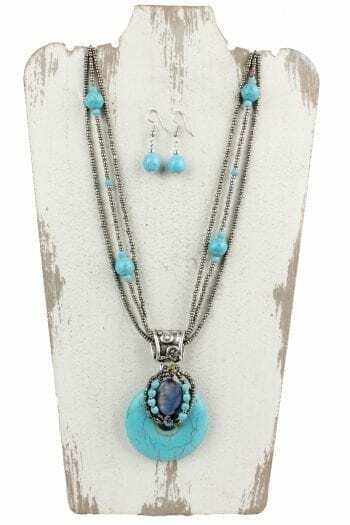 ?This beautifully color necklace consists of faceted glass beads, chain, as well as a beautiful bird pendant. 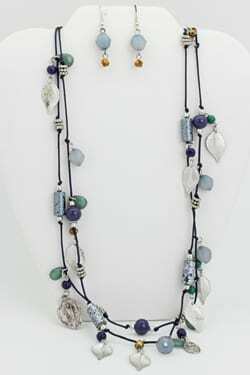 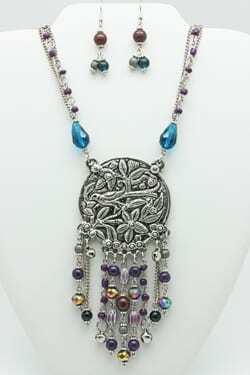 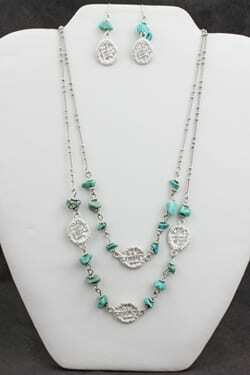 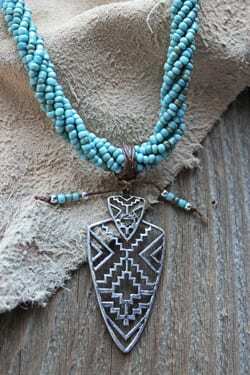 ?It also comes with earrings and measures 19-23″ in length.